Located close to several exclusive shopping complexes - Sandton City, Sandton Square Village walk and to sports and recreational facilities. Within easy reach of business centres. 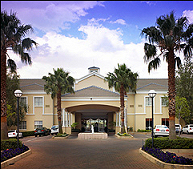 This hotel is located in Sandton, an exclusive area which is regarded as the business and economic hub of South Africa. It is set in attractively landscaped gardens and is close to the fashionable Sandton City, Sandton Square and Village Walk shopping complexes. The spectacular Sandton Convention Centre, South Africa?s premier conference venue which hosts up to 10 000 guests, is close by. It is also a short distance to the magnificent Montecasino Leisure and Entertainment complex, which offers a scintillating array of shops, boutiques, restaurants and entertainment bars. The hotel attracts business, corporate sporting and leisure guests who appreciate excellent standards, good value and individual recognition. The keynote is on comfort and warm personal service, and where the interiors reflect an elegant tone. The hotel offers 122 spacious, well appointed guest rooms. Of these, 52 are Executive Suites, having one or two bedrooms and their own private lounge and dining area, as well as a self-contained kitchenette. Such facilities make these suites ideal for longer-staying guests. The outdoor pool terrace serves light refreshments and there is an excellent restaurant and cocktail bar, as well as fully equipped conference venues which cater for stylish and intimate functions. At Garden Court Morningside you will still find that same commitment to quality and service that has made us famous.